Do you find yourself in an eyeglass rut? Have you been wearing the same pair of glasses for 6 months, a year, 2 years, even more than 2 years? Believe it or not, eyeglasses can be used for more than just vision correction. With the right core group, it is very possible to use them as accessories all year long to complement an outfit, a season, or even an event. Do you want to look sophisticated, or maybe extremely intelligent, or even a bit flirty? 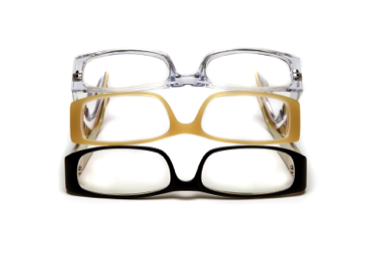 Depending on your goal, it is possible to enhance your wardrobe and make a statement with eyeglasses. After seeing your Traverse Vision Mt. Pleasant optometrist to make sure your eyes are healthy and to get a correct and current prescription, consider the trends in eyewear to determine your next style (or styles). As you can see, with the huge selection of frame options and colors available, not to mention lens tints and brands, there is no reason that your Mt. Pleasant optometrist shouldn’t be able to help you get the perfect selection of glasses for your needs in the latest trends. After your Mt. Pleasant eye doctor prescribes your lenses, there are many options to choose from once your Mt. Pleasant optician helps you determine your needs, desires, and face shape. Sports and A.ctive (great for spring and summer) For outdoor activities, consider transition lenses or prescription sunglasses options. Simple and Clean (great for everyday wear, especially with transition lenses to give eye protection in sunlight). Clearly Colorful (a great option for fun in the sun and for anybody with a bright and bubbly personality who dresses to be seen). Techie (you know who you are). Vintage (you know who you are, too). Now is the perfect time to get an eye exam with your Traverse Vision Mt. Pleasant optometrist and get the glasses that are perfect for you for the spring and summer. Don’t let the days continue to pass without equipping yourself with the glasses that fit your warm weather lifestyle and personality. Contact your Mt. Pleasant eye doctor today to get started.